With MWC 2014 just around the corner, we've heard a lot about what we can expect from all the major manufacturers. We're expecting a bucket load of phones alongside a handful of tablets, all competing to try and make a name for themselves. 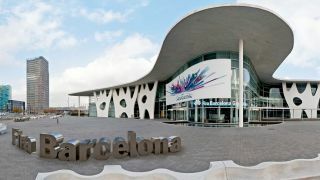 We've hunted through the web to track down all the news of just what we can expect to see at this years Mobile World Congress. One tablet that we will definitely get hands on with is the Samsung Galaxy Tab 3 Lite. How do we know this? Well, because Samsung has already outed it. As the name suggests, the Galaxy Tab 3 Lite isn't here to bother the big boys of the iPad Air and the Samsung Galaxy Note 10.1. Instead it is focussing on the budget market currently occupied by the likes of the Google Nexus 7, Tesco Hudl and Amazon Kindle Fire HDX 7. To do this it comes with a 7-inch 1024 x 600 screen, 1.2GHz dual-core processor, 1GB RAM and 8GB storage. Unlike its two biggest rivals it also supports microSD cards, and comes wrapped up in a $165 (around £100) sized bow. We're looking forward to getting our hands on the slate, so stay tuned for our hands on Samsung Galaxy Tab 3 Lite review. We're left wondering what the Japanese brand may choose to call the next iteration of its Xperia Tablet Z, although the Sony Xperia Tablet Z2 looks most likely, keeping the tablet in line with Sony's current smartphone range. There has been no confirmation from Sony on a possible new tablet, but this hasn't stopped famous twitter tipster @evleaks posting about an upcoming Sony Castor slate. The tablet will apparently run on a Qualcomm Snapdragon 800 processor and come in 4G and Wi-Fi only variants. The timing seems right for an Xperia Tablet Z refresh, given that the original launched at MWC 2013, and Sony will be keen not to get lost amongst a raft of Samsung branded slates and the iPad Air. Another tablet that we're expecting to see comes in the form of the Windows 8.1 RT toting Nokia Lumia 2020. A few rumours surrounding the Lumia 2020 have surfaced recently, although leaks are noticeably more sparse than for its Samsung or Apple counterparts. The Lumia 202 appeared to pop up in import data on Zauba.com, showing an 8.3-inch "cellphone", although we're unlikely to see a phone that large; the Sony Xperia Z Ultra pushes those boundaries far enough at 6.44 inches. The Nokia Lumia 2020 looks likely to come with the same Full HD display, as well as keeping the same Snapdragon 800 chip making it merely a smaller version of the Lumia 2520, Nokia's current and only Windows tablet. Samsung might have more than one tablet on the cards, with the likes of the Galaxy Note 8.0 in line for its annual refresh. Whether this is likely to be in the form of the Galaxy Note 8.0 2014 or Galaxy Note 8.0 Pro is unclear, but knowing Samsung it could well be both. Like the aforementioned Sony Xperia Tablet Z, the Galaxy Note 8.0 is another tablet that was launched this time last year. It was also noticeably missing from the CES 2014 announcement of the Galaxy Note Pro 12.2, Tab Pro 12.2, Tab Pro 10.1 and 8.4. Recent rumblings have suggested that Samsung has three more slates on the way; the SM-T535, SM-T531 and SM-T530. Given that the SM-T535 and SM-T530 devices are both listed as 8-inch Samsung tablets, we're definitely expecting a refresh of the Galaxy Note 8.0. We've even seen reports claiming that Samsung will reboot its tab series with a trio of slates (in 7-, 8- and 10.1 inch guises) falling under the Galaxy Tab 4 moniker. MWC 2014 could well be a very, very busy event for Samsung. Google always has a presence at MWC, however it's usually focussed on highlighting the Android ecosystem as a whole rather than showing off specific devices. However, rumours suggest that an Intel powered Google Nexus 8 slate is on the cards, and we have yet to have seen an announcement of the new Google Nexus 10 tablet. These aren't tablets that we are really expecting to see next month given that Google has a habit of reserving its product launches until its Google I/O event in May, or later in the year. Another Samsung tablet that could make an appearance at MWC (if highly unlikely), or at some point during this year is the hypothetically named Galaxy Tab Round. With the announcement of the Samsung Galaxy Round smartphone, it seems almost inevitable that a tablet version will hit the market, possibly in the near future. A design patent picked up by Korean site MovePlayer (and turned into a rather convincing press render) seems to further those claims. The patents were filed in early 2012, with patents often taking a little while to be converted into real products. 2014 might be the year of the curved phone, curved TV and curved tablet. What's next? Curved cars?